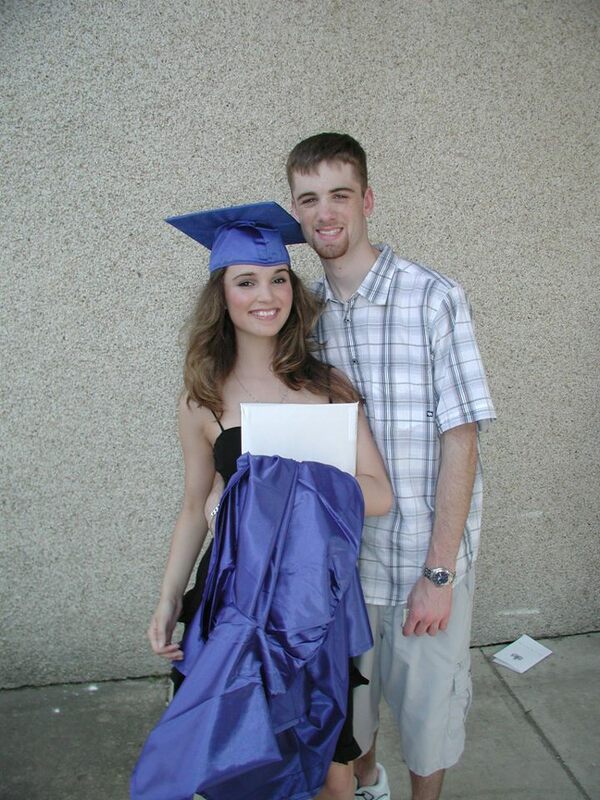 Around this time twelve years ago, I realized I had a crush on the guy who would become my husband. We had already tried to have a relationship the year before and it didn’t quite work out. So when I felt that I possibly could have regained my feelings for him, I wanted to tell him but found I was so shy to let him know! “I have something to tell you,” I said, “but I’ll have to tell you later,” only because I couldn’t find the courage to say it. He offered to take me home that day and sitting on my front porch, I shyly told him that I thought I had feelings for him again. It was probably a week or two of talking on the phone for anything to officially start between us. 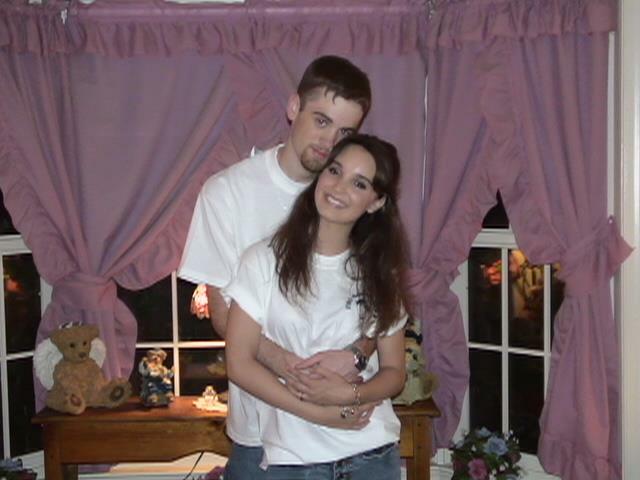 We had a mall date on Saturday, April 26th of 2003. The night before on the phone, he said “I have something to ask you, but you’ll have to wait until tomorrow.” I knew exactly what it was and begged him to just say it but he said I would just have to wait. 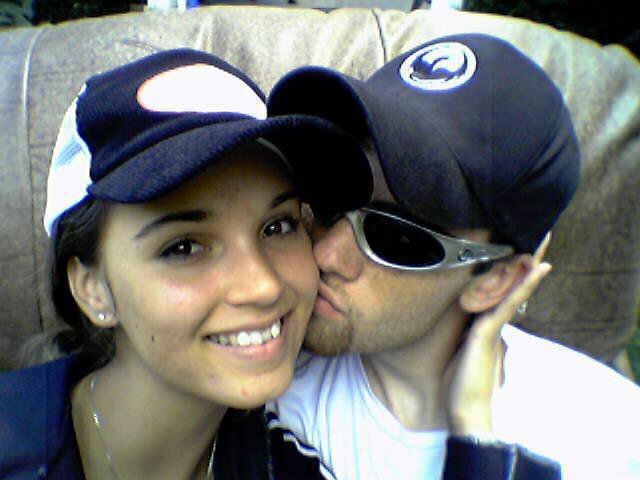 The next day, sitting on a bench in the mall in front of Hecht’s, he asked me to be his girlfriend. We’ve come a long way since then and still have so much growing to do. Around this time of year I always love looking back at how we got started. Tonight I was remembering what made me fall in love with him, past the whole puppy love stage. Two events stand out pretty clearly in my mind. The first one was a typical day at school and had to be within the first week or two of making our relationship official. It was before class, sitting down in our common area. As he was looking at me, he said “You’re so…beautiful.” No guy in my high school career before that had ever called me beautiful. If I’m being honest, I was told I was “hot”. Which for a teenage insecure girl is always nice to hear. But the word “beautiful” took things – and my heart- to another level. The next time that took my love even deeper and officially in love with no questions asked was at an Avril Lavigne concert, of all places. We were maybe just less than a month into our relationship (and as I’m writing this, I feel like that’s pretty quickly for falling in love, no?) and I had invited him along with my family to the show. He and I were down on the main floor that was split up by a barricade. They let a big group go in front of the stage and the rest were barricaded off, and we stood directly in front of the barricade. When Avril came on stage everyone rushed towards her and nearly crushed us in the process. I almost wasn’t aware of it because he chose to stand behind me and held onto the barricade and protected me from the chaos while he was the one who got jabbed with elbows and hit with excited hands. That night I realized “Wow, this guy likes me enough to protect me,” and what girl doesn’t love a little security in a guy? A few months later he gave me his high school ring. I wore it around my neck on a chain with a heart on it – the same necklace I wore to our Junior Prom. The ring remains on that necklace and I’ve since added my own high school ring to it. And five years later he gave me the big ring. 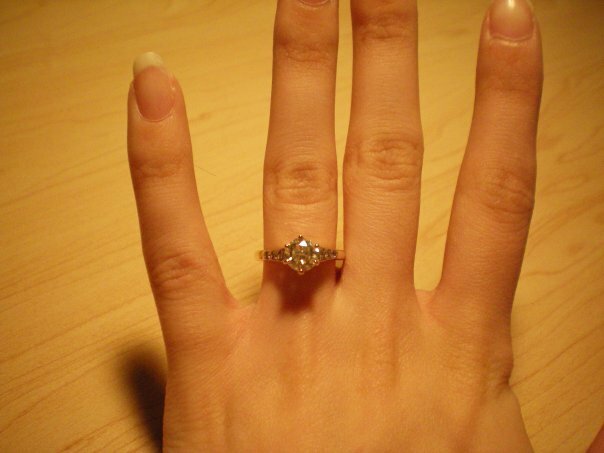 My engagement ring. 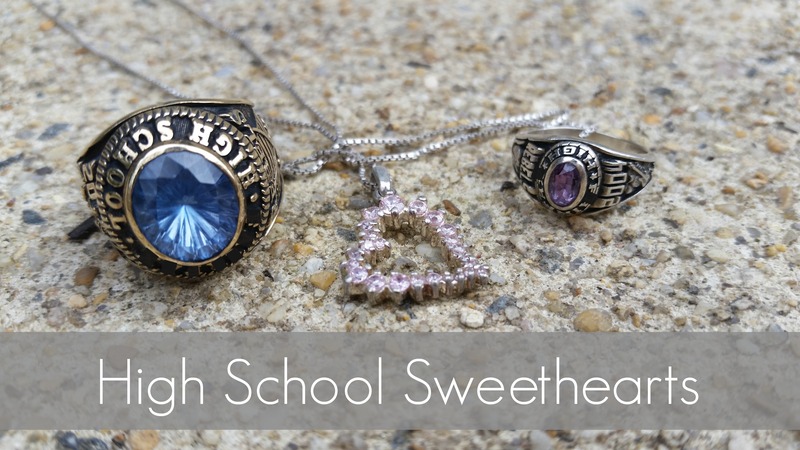 I’m told what we have is a rare thing – the whole High School Sweetheart thing. I can tell you that I love our sweet beginnings, look forward to the future, and can honestly say that making a relationship last this long takes work as we have definitely had our ups and downs like any other couple. And I’m so happy I have a partner that actually wants to work at this. We are constantly learning from each other and have open communication about our feelings. I hope it’s always this way. So far, it’s worked for us. I love that I got to be there when he was 17 and have watched him grow through the years. It’s been one of my favorite parts of our relationship. I know that I’ll fall in love with him all over again (as I have done many times over the years) when he’s a wrinkly old man! Awesome post girlie! Love it!